Shiva Ratri is the night of Shiva, and for those immersed in the Hindu tradition it is an important part of the year, the one night Shiva ‘sleeps’ while people keep vigil. Please read more about the upcoming celebration of Shiva Ratri here. Shiva represents the universal power of destruction, which has two facets – the end of physical existence, and the liberation from its subtle bonds (by the destruction of ignorance). The story of Shiva is the story of God dwelling in human consciousness. 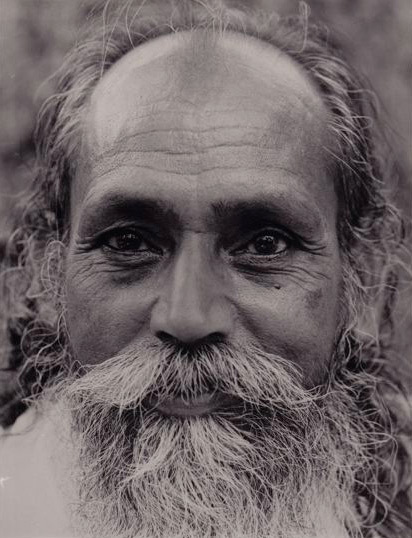 He is the Great Yogi, severe and serene in meditation, ever absorbed in superconscious Reality (samadhi). He is the Supreme Guru (spiritual guide) who teaches always in silence the oneness of one’s higher Self (atman) with the ultimate Reality (Brahman). Shiva is ever the great Destroyer of Ignorance, endowed with infinite compassion, longing only to burn the miseries of the world, to illumine the world, to reveal within each being the highest Truth. The ignorance referred to here is not lack of knowledge of the world, but the ignorance of our true nature. In the Yoga Sutras of Patanjali it is said that this ignorance (avidya) is the cause of all suffering. Avidya is not just an ignorance but a very deep illusion which colours all our perceptions. Because of that, we live in an illusory world of our own creation. The purpose of rituals like Shiva Ratri is to shift our focus, quiet our minds and open to the possibility of the end of ignorance and the awakening to reality. Remove all the selves we create and what remains will be identified as real Self. One morning years ago, when Babaji was asked about the effect of stopping the mind even for a second, he said: Samadhi brings two things: Attachment to the real and non-attachment to the unreal. Shiva as Mahadeva, the Great God, Lord of Lords, is ever the Destroyer of Ignorance. With his great third eye (the eye of higher knowledge, which looks inward) Shiva pierces through all hypocrisy, and can burn to ashes in a glance all that is untrue. It is said that with each inhalation and exhalation Shiva takes, entire worlds are created and destroyed. He is the inner Self of all living beings. From Babaji’s essay, Mind is our World: All your prayers will be heard, your meditation will bring peace, your selfless service will remove your discontent, and your devotion to God will fill your heart with divine love. A seeker of the Truth, who is liberated from the conceptualized world automatically finds the real world in the Supreme Self, Universal Consciousness, Peace or God. That supreme state of the Self is eternal and infinite. That Self is unknowable because it is without the distinction of knower and knowledge. It shines by its own light.